You can book your tour at our office or online through our website. It’s very simple. Please browse through the website, choose your tour, read and understand the Tour Itinerary, Inclusions and Exclusions, Joining-Leaving Places, Tour Price, Payment Schedules and Terms and Conditions. 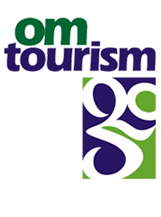 Once you are sure about your trip, you are part of the Om Tourism family. Read the "Terms and Conditions" carefully. Carry residential proof & original Passport. 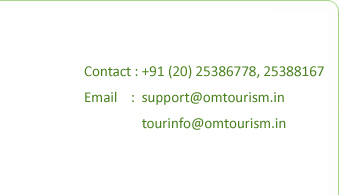 Select your tour, fill in the Registration form. Please provide your complete details, including Name as in Passport, Birth date, Marriage date, Meal preferences, Address, Tel, Mobile, Email, Emergency contact (other than residence), pre/post tour program if any, Insurance, extension of insurance, any extras such as additional accommodation, transfers, change of return travel date, etc. 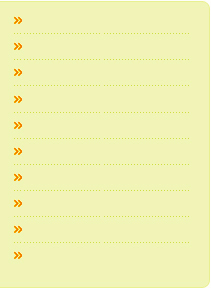 Collect the official payment receipt on payment of the Registration amount, which is in the table. Payment Of the Registration Amount. Read carefully the "Terms and Conditions". Please provide your complete details including Name, Completed age (as on departure date), Preferred journey by Rail/Air, Birth date, Marriage date, Meal preferences, Address Tel, Mobile, Email, Emergency contact (other than residence), Pre-post tour program and any extras such as additional accommodation, transfers, change of return travel date etc.Collect the official payment receipt on payment of the Registration amount which is: For Non-Refundable airline ticket, air ticket cost has to be paid fully. If you book the tour within 30 days to departure, the entire tour price has to be paid at the time of booking. Balance Payment will have to be made 30 days before the tour departure. In case airlines or suppliers demand the full amount, you could be requested to pay a certain portion of your payment at the time of booking. If you book the tour within 30 days to departure, the entire tour price has to be paid at the time of booking. Bring all the original passports of all family members at the time of booking. Passport must be valid for minimum 180 days from the arrival date of the tour in India and should have sufficient number of blank pages (which should not be damaged/stapled/torn etc) for the required visas. It is mandatory to keep a certified true copy/photocopy of your passport with you before submitting the same to Om Tourism. The processing time for VISA varies according to the tour you have selected and depends on the number of countries you wish to visit. Some of the consulates are located in New Delhi and require longer processing time. Book early, to get appointment dates for personal interviews sufficiently well in advance. Submit the required Visa documents along with photographs as per the specimen of respective Consulates within the given time period, failing to do so INR 2000 per visa will be applicable as Urgent VISA facilitation fee. If you book the tour within 30 days prior to departure, urgent Visa facilitation fees of INR 2000 per visa will be applicable. Payments can be made through local 'Account payee' cheques, Demand Drafts or by Cash at any of our Om Tourism Branches, as per below Bank details . Overwriting on Cheques are not allowed as per RBI rule. PAN is required to quote in case of cash payment in accordance with prevailing Income Tax rules. Please note that Outstation cheque is not acceptable. Tourists , who are not able to visit our office, can deposit local clearing cheques at nearby UBI Bank / Axis Bank located across India,with an intimation to the company by sending fax or copy of bank slip and personal details. In case of non realisation of cheque and/or non-submission of BTQ/PPT/Address copies 30 days before departure of tour ,tourist will have to pay an additional service tax @2.58%.The same shall be reflected in your Invoice. If we do not receive the entire tour price payable to us 30 days prior to tour departure, we will not be able to process your booking and arrange your visas(in case of International tours).Your registration amount is likely to be forfeited and your booking stands automatically cancelled. Guests booking through Om Tourism Preferred Sales Agents must make the payment by Demand Draft / Cheque payable at the Agents location. Please ensure that you collect proper receipt of all payments. In case the agent acknowledges the payment by his provisional receipt, the booking will be confirmed only when he forwards the same to Om Tourism. In such cases Om Tourism will issue Om Tourism receipts in your favour. Booking will be confirmed and processed only after the receipt of the payments.